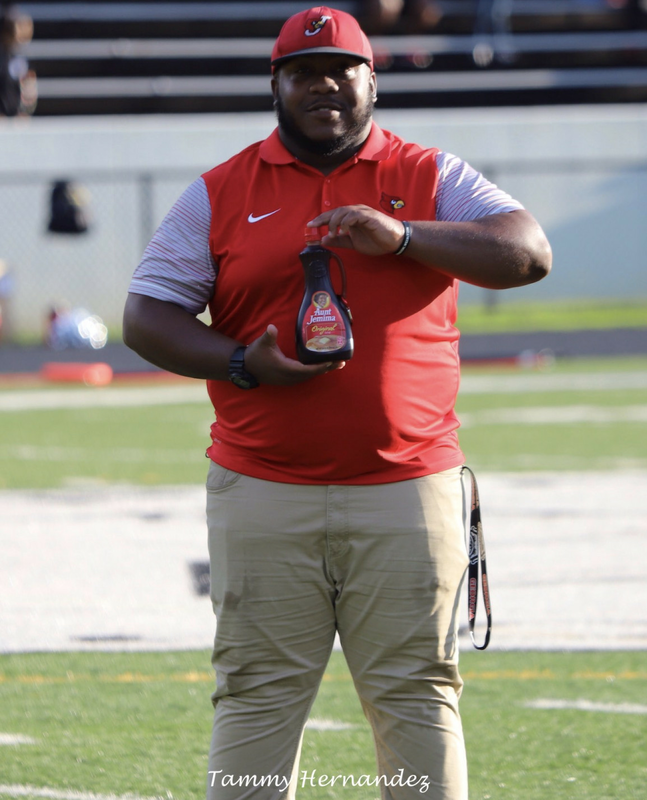 Meet Coach Carmicheal, the Offensive Line coach at Jonesboro High School in Georgia, He has found a way of getting rid trend of making it all about the playmakers and has found a way to give love to the big fellas; his offensive lineman. 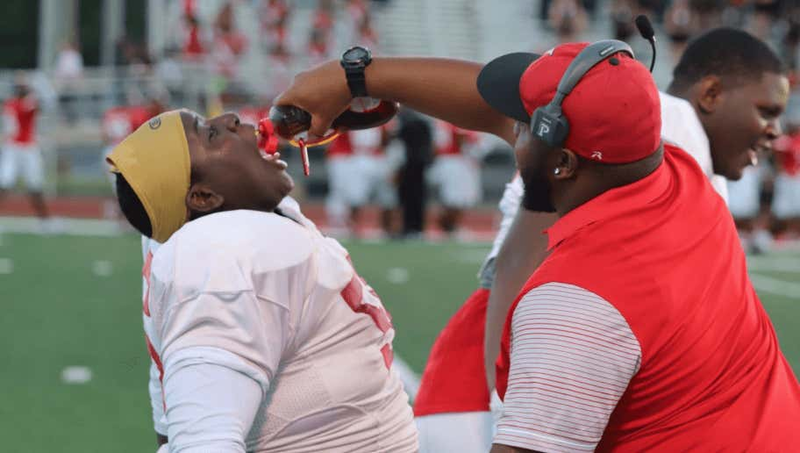 Carmichael rewards ha pancake block pouring maple syrup down their throat. Carmicheal, 26, is a former offensive lineman . He played in Georgia high school ranks, he then set up shop on the line for four years at Edward Waters College in Jacksonville. He’s never felt that offensive lineman get the dues they deserve. If they can get 15 pancakes between all five of them, then I take them to IHOP. This dude just oozes out both maple syrup and swag. He has made it fun to be an offensive linemen And it’s not all about him. 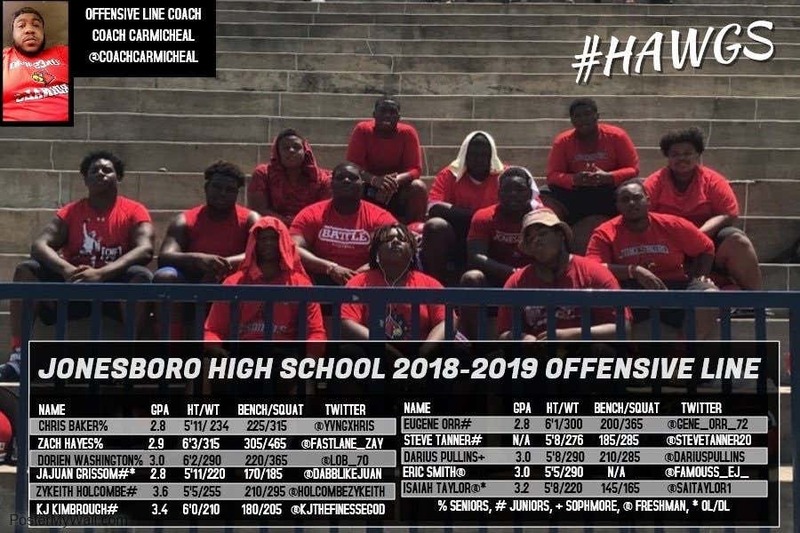 That’s why he made this poster of his players, including not only their GPA and weight lifting statistics, but also their Twitter handles. So go follow them on twitter. So move over turnover chain, there is a new sheriff in town.